An unusual shaped window can be a great asset for your home – and quietly focal point that certainly makes your home stand out from the rest! An unusual shaped window can be a great asset for your home – and quietly focal point that certainly makes your home stand out from the rest! However, many people find that styling these sometimes awkward shaped windows a bit of a challenge – and no wonder. Traditional blinds or curtains won’t have a clean aesthetic, especially on circular shapes, and almost always depend on the existence of a straight top line. If you’ve got an awkwardly shaped window, like the one pictured above, why not consider shutters for a clean style statement. 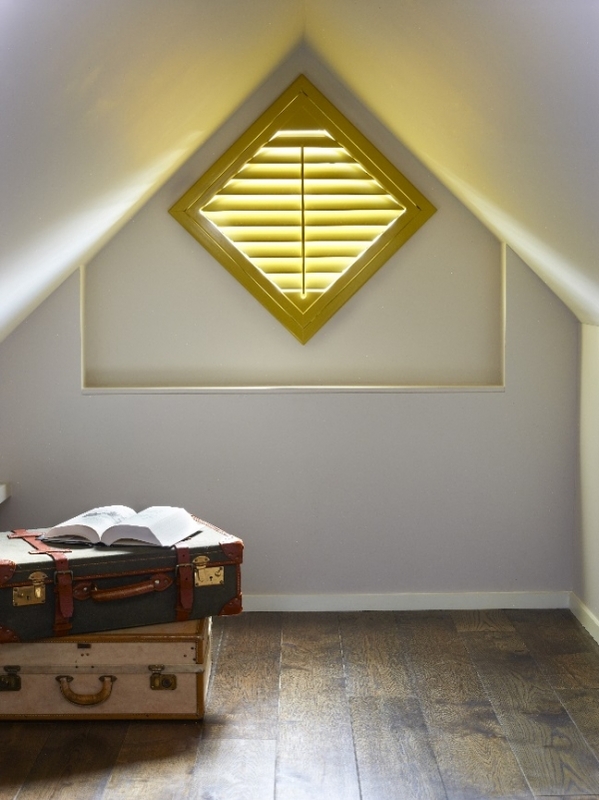 Regardless of whether it’s square, circular, diamond or even hexagon-shaped – shutters are made exactly how you want them. Just as with normally shaped windows, awkward designs can also have nifty design elements like hidden push rods and fashionably wide slats incorporated into them at no extra cost. Adding a push rod design to an awkwardly shaped shutter actually helps make them more ergonomic, enabling you to open and close the slats even from the trickiest of angles. Having an awkwardly shaped window or doorway does not mean that you have limited finish options, either. The same finishes and colour options are still available, and our unique colour matching service is available for all shutter styles and designs meaning that you don’t have to compromise on style.